The Aroostook County Sheriff’s Office is nearing completion of a $150,000 upgrade to its dispatch center located in Houlton. 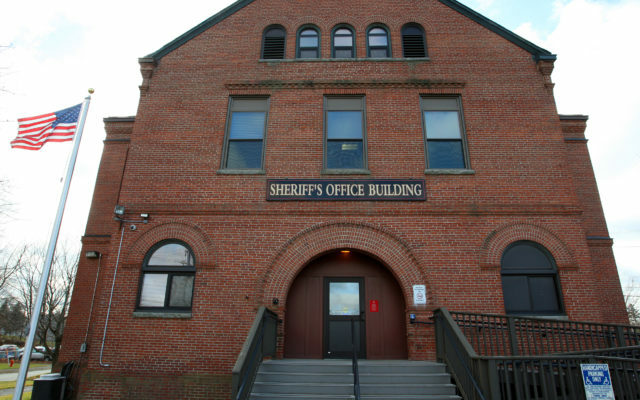 HOULTON, Maine — The Aroostook County Sheriff’s Office is nearing completion of a $150,000 upgrade to its dispatch center located in Houlton. The new upgrades have increased the sheriff’s office capacity to provide greater communication capabilities throughout Aroostook County. In addition, according to Acting County Sheriff Shawn Gillen, the new upgrades will allow for the sheriff’s office to provide regional dispatching services for more communities. “We are going live with the town of Madawaska this week,” and that could not have happened without these essential upgrades,” Gillen said. “RCM exceeded our expectations in this project and completed it all before our own internal Sept. 1 deadline,” Gillen stated. In addition to the equipment upgrades, Gillen indicated that the department will add one more full time dispatcher in September to provide the adequate coverage needs. Currently, the sheriff’s office provides dispatching services to 15 fire departments; three police departments and two ambulance services. The contract with Madawaska is for all of that community’s public safety personnel — police, fire and emergency medical services. Gillen anticipates this will add about 5,000 calls to the dispatching center’s existing 13,000 calls per year. “The dispatch center is busy and it’s an excellent example of regional cooperation in The County to save taxpayer dollars and provide a valuable service for public safety. Imagine if every community had to staff and man their own dispatch how costly that would be. The County can provide that service through contracts and its streamlined and efficient,” said County Administrator Ryan D. Pelletier. “It’s a win-win for both the community and the county,” Gillen added. For more information, interested communities or individuals should contact Acting Sheriff Gillen at the Aroostook County Sheriff’s Offices at 532-3471.